Canada encourages familial ties. The Dependent Child visa is intended to reunite children with their Canadian parents. This visa allows Canadian citizens and permanent Canadian residents to apply to sponsor their or their partners dependent or adopted children who are of 19 yrs of age or below. Once approved, dependent children can join their sponsoring parent(s) in Canada. 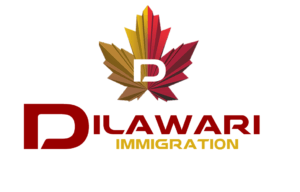 Dependent children can enjoy permanent residence and can live, study and work in Canada. With effect from October 24, 2017, Canadian citizens and permanent Canadian residents can apply to sponsor their or their partners dependent or adopted children who are of 22 yrs of age or below, who are not married or in a common-law relationship, on their immigration application. A Parental and Grandparental visa program allows parents and grand-parents to be sponsored by their Canadian children and grandchildren to live in Canada. The sponsors should be Canadian citizens or permanent Canadian residents. This program was suspended as of November 5th, 2011. However, the Parent & Grandparent Super Visa has been made available as of January 2014. The Canadian sponsor should be prepared to live in Canada with the applicant and support them monetarily without having any access to public funds. On approval, the applicant will be permitted to live study and work in Canada, in addition to permanent residency. Looking For An Initial Consultation? We are social. You can follow us on social media to be in touch.